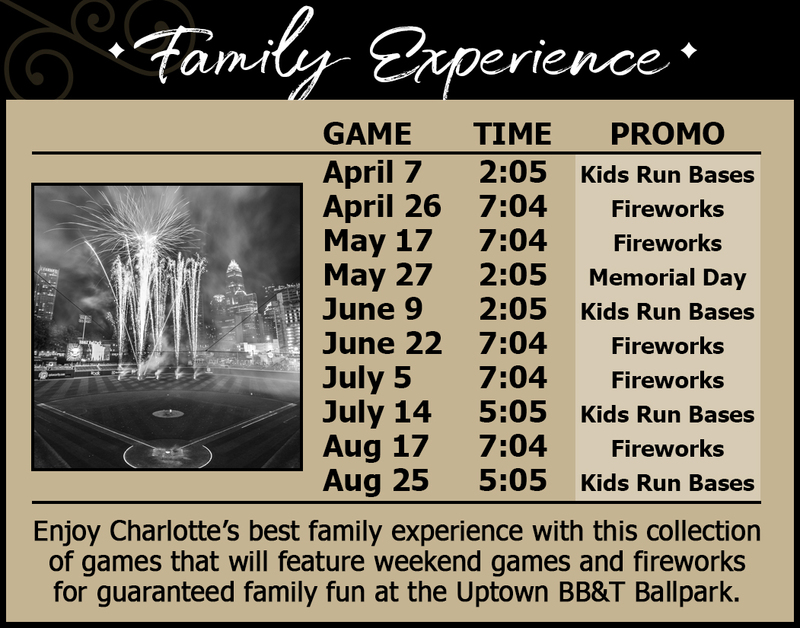 Enjoy baseball in Uptown Charlotte with a ticket experience designed for you! 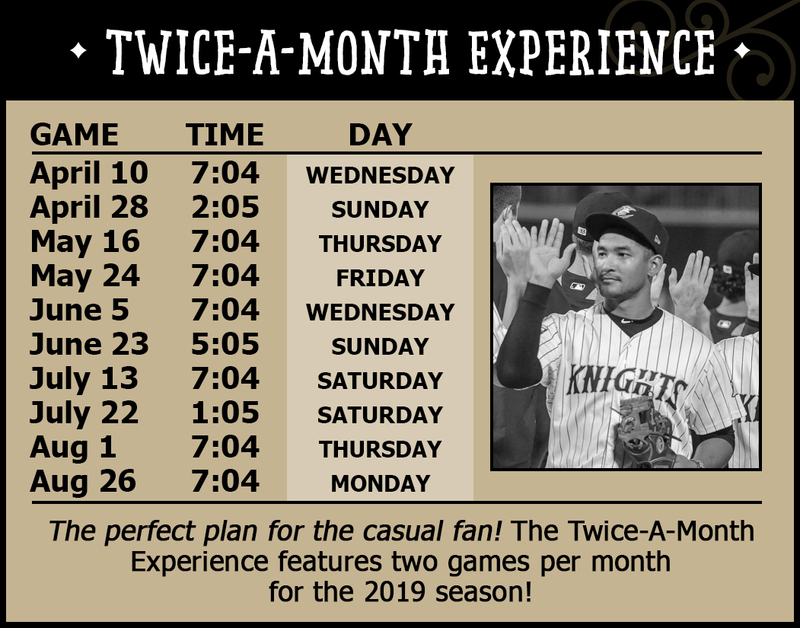 Each Limited Edition ticket experience is crafted with a unique combination of ten (10) Charlotte Knights 2019 home games. Every package features a great field box seat with $2 of Loaded Value* included on each ticket. Each Ticket Experience will include online ticket management tools and the ability to purchase a premium prepaid parking pass ($40/pass). 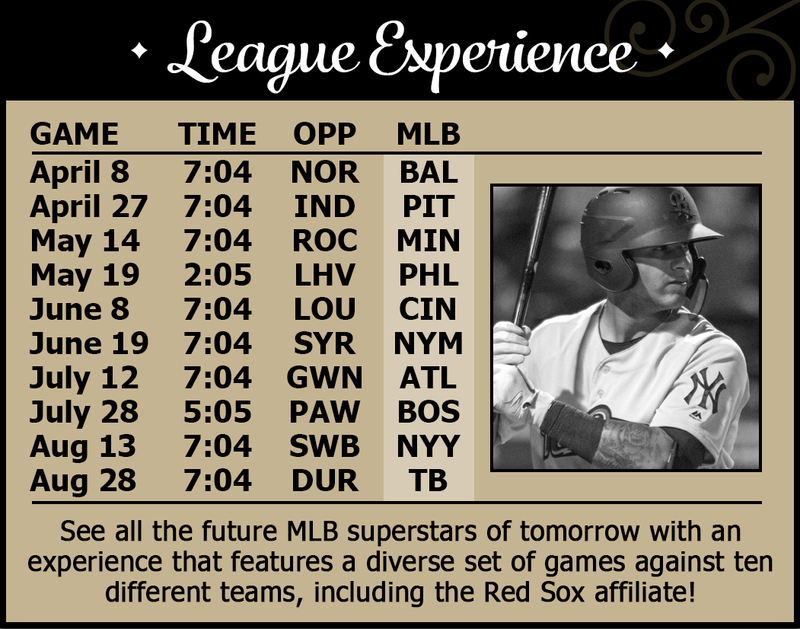 Each Ten-Game Experience is just $190 each (per seat) and is only available for a limited time! 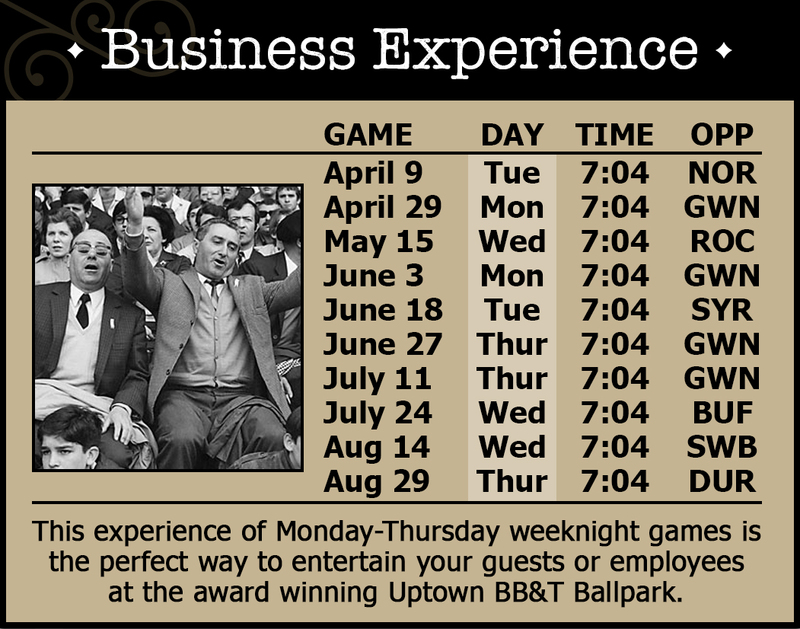 Listed below are the current Ten-Game Experiences offered by the Charlotte Knights. Select an Experience below to purchase. All games are scheduled 2019 games at BB&T Ballpark. Game dates & times are subject to change.